Multilateral development actors have recently embraced the ‘PVE’ (preventing violent extremism) agenda. This includes consideration of PVE measures in countries like Uganda, where interpretations of non-state violence are contested and where the government has a history of strategic rent-seeking behaviour regarding counter-terrorism assistance. This article assesses the threat of terrorism and violent extremism in Uganda. 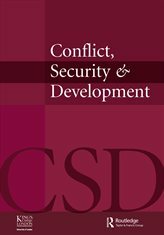 We argue against a strategic reorientation towards PVE among development actors. Current and emerging threats do not justify a departure from existing development priorities. Importantly, consideration of the political context pertaining to PVE in Uganda commends a cautious approach.